For real – I am so Washington Heights that the actual block that you see in the poster for In the Heights is a picture of my block. You feel me? That’s right people, what you see right there is the corner of 192nd and Wadsworth Avenue. To the left, just slightly off camera, is the building that I grew up in – 382 Wadsworth Ave. For those that don’t know, the George Washington Bridge is not physically where it is depicted in the image but nonetheless belongs there as a towering symbol of the looming shadow in casts on the entire neighborhood. 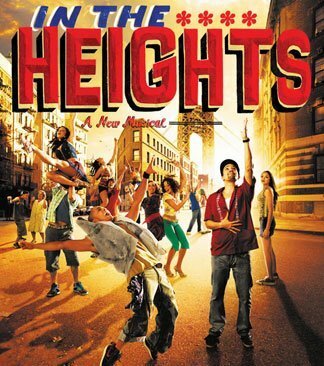 In the Heights, the brainchild of Uptown local Lin-Manuel Miranda, won the 2008 Tony Award for Best Musical and is currently slated to be made into a film that will be directed by Kenny Ortega whose other works include High School Musical and Michael Jackson’s This Is It. In the Heights is also on tour across the country and former teen star Corbin Bleu, also of High School Musical fame, is starring as Usnavi for a 13-week run on the Broadway incarnation of the show until April 25th. This is a cool spoof of the Jay-Z hit Run this Town for the nationwide In the Heights tour. Now Check my man, Lin-Manuel Miranda, spitting some ill historical rhymes about Founding Father, Alexander Hamilton, in front of Barack and Michelle. From the Heights to the White house – you got to love it.